Branding is one of the biggest challenges in modern business. A stunning, women-powered panel from the fashion and media industry discussed how branding has changed and will work in the future. Moving form “heritage to digital” is meaningful to all three fashion and media brands represented on stage. Stephanie Phair (THE OUTNET.COM) merged discount with high-fashion. 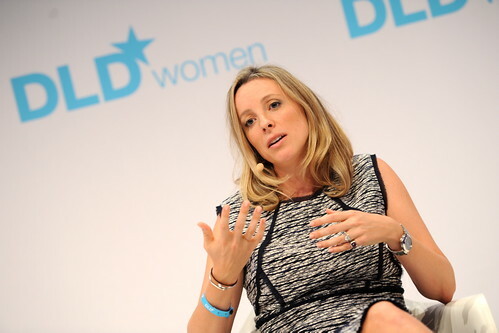 At THE OUTNET, Stephanie Phair said, the customer decides what kind of brand they are. Heritage is a buzz word for Margherita Missoni who talked about the beginning of It-Girls at fashion shows when she was in her late teens and herself wearing her grandparents brand MISSONI. Margherita’s appearance as a brand ambassador was not a planned communication scheme, but rather a truely spontaneous decision. Her family's business spends a smaller amount on advertising than other large fashion companies as they rely on their image as a family business. 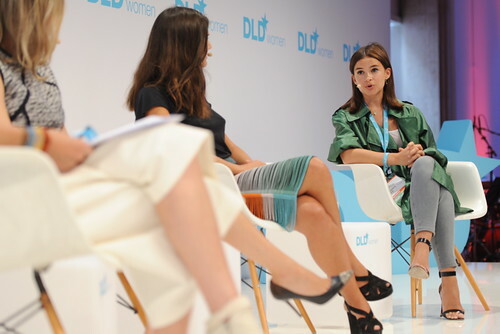 Miroslava Duma (Buro 24/7) described her USP as being part of the “russian fashion mafia “ - a group of young friends in the fashion industry from Russia, who are not afraid to take risks and thereby influence the russian cultural scene. Her company Buro 24/7 is a true digital trendsetter in Russia and beyond. One approach Stephanie Phair (THE OUTNET.COM) and Miroslava Duma (Buro 24/7) share is that not models but real people are used for advertising campaigns. “It’s about who the customer can identify with” says Stephanie Phair. While “real people” are becoming more visible in fashion branding the value of celebrities is still high. Margherita Missoni said that today’s jet-set generation are actually in business, which sets them apart from the earlier jet-set brand icons. Whether models, jet-set celebrities or business people - all fashion brands increasingly use social media as part of their campaigns. Stephanie Phair (THE OUTNET.COM) said that their content team treats every social media channel as an individual publishing platform which has to be highly reactive to customers. Annette Weber (InStyle) who moderated the panel asked if the fashion magazines are still important in this era of social media. In Margherita Missoni’s opinion magazines still make an important selection what and who will be seen and valued in the fashion industry. The panel ends with some questions from the audience which was above all impressed by this display of strong women leaders.